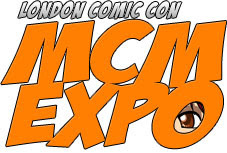 The London MCM Expo is coming back from the 25th - 27th May and along with it, a bunch of the latest and upcoming games will be available to play! A lot coming to the show are being previewed in the UK for the first time and one of them is Lollipop Chainsaw, the cheerleading, zombie slaying game by Warner Bros.
Another first UK playable coming along is from Sega and its Aliens: Colonial Marines multiplayer! SEGA’s highly anticipated first person shooter coming out on Xbox 360, PS3, Wii U and PC. Capcom have also been confirmed for the MCM Expo as they are bringing Steel Battalion: Heavy Armour and open world action RPG Dragon’s Dogma. including a tournament in their booth on Saturday. Other titles show visitors can get hands-on with will include Warriors Orochi 3 and Ninja Gaiden 3. Jagex to bring MMO RuneScape to MCM Expo for the first time with an exclusive voice acting panel, live concept art demos, event-exclusive t-shirts and a chance to try out the game. Jagex will also be bringing Transformers Universe, the as-yet-unreleased MMO based on the popular Hasbro brand. Gamespot UK return with their dedicated games stage; hosting panels and presentations, and giving show visitors sneak peeks at the hottest new titles.